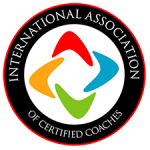 [5:24] Is certification a requirement to coach in most states? [7:55] How do I go about getting my first clients? [18:34] What are good books to read when beginning the coaching journey? [20:12] What is the fastest way to get coaching clients? [31:02] During Jumpstart, do you coach coaches to find their niche? [33:51] Say you’re coaching a specific demographic through a given life transition. Different people may want different things or have different goals. So how do we define their simple desire? [36:00] Do you have to be very “academically” knowledgeable or could you use your “tried & true” experiences as a life coach? [41:40] Can I upgrade the free coaching course to get certified? [45:40] How do you get past that fear of starting when it comes to beginning your coaching practice? Because we all know that we can posess the knowledge when it cones to coaching but because we lack that experience, we fear putting ourselves out there.